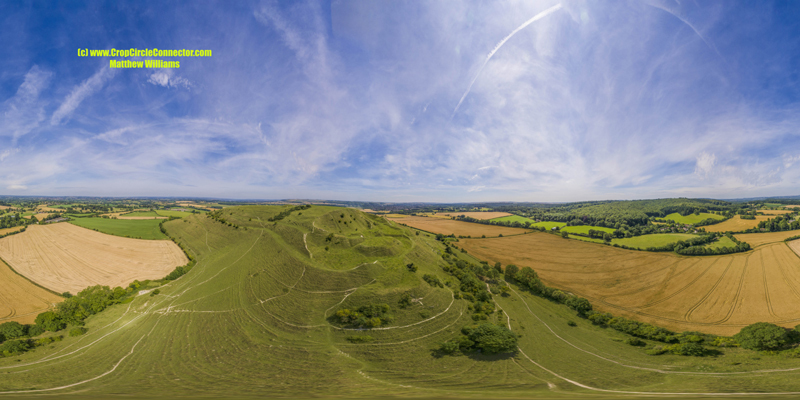 Cley Hill, Nr Warminster, Wiltshire. Reported 18th July. Wow! 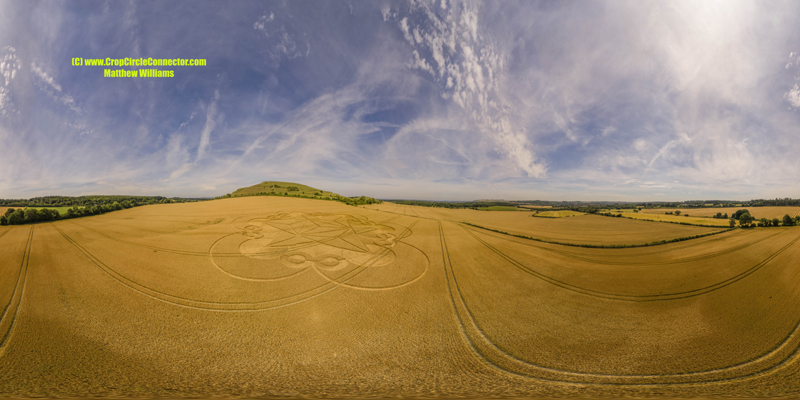 360 degrees! 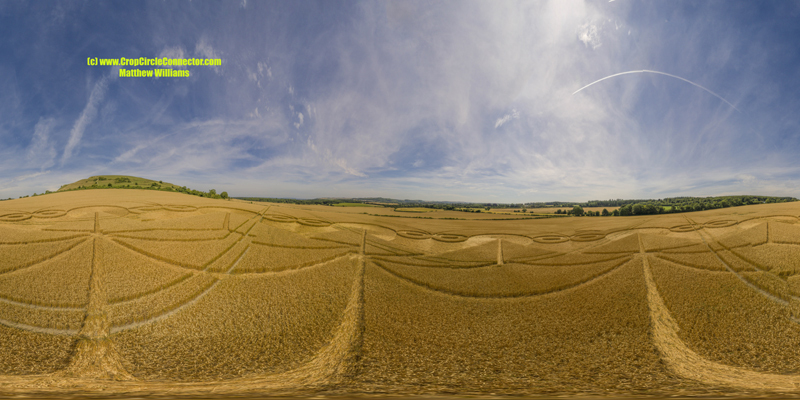 - Revolutionary EXCLUSIVE new way to see crop circles..
We always bring you the REAL exclusives. Click on photo or link then when it has loaded double click on the photo. Don't forget to view it hold down your mouse on the picture and move around.